Medium ball of Strong Cotton Twine. Suitable for a wide range of uses. Ultratape quality clear adhesive tape, will prove to be an essential at home, in the workplace and at school. 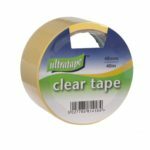 Ideal for a whole host of activities, from wrapping presents and making wall displays to card making and quick repairs, the tapes clarity makes it perfect for all kinds of uses. Each pack contains 1 roll & 1 tape dispenser. 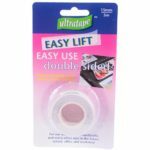 Ultratape quality clear adhesive tape, will prove to be an essential at home, in the workplace and at school. 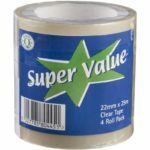 Ideal for a whole host of activities, from wrapping presents and making wall displays to card making and quick repairs, the tapes clarity makes it perfect for all kinds of uses. Each pack contains 2 rolls. Fits most standard tape dispensers. 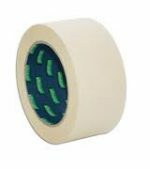 Ultratape quality clear adhesive tape, will prove to be an essential at home, in the workplace and at school. 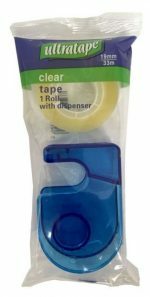 Ideal for a whole host of activities, from wrapping presents and making wall displays to card making and quick repairs, the tapes clarity makes it perfect for all kinds of uses. Each pack contains 4 rolls. 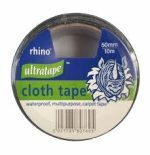 Ultratape Rhino black cloth tape is a strong waterproof tape that can still be torn by hand. Suitable for both indoor and outdoor application. It is ideal for joining carpets, packaging, bundling, insulating, binding, repairing, reinforcing, ducting, protecting and waterproofing. 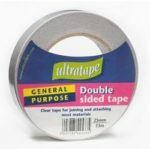 The tape will adhere to most surfaces including wood, metal, concrete, nylon, rubber and plastic. 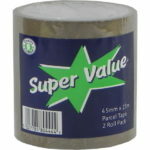 Ultratape Value Parcel tape, will prove to be an essential at home, in the workplace and at school. With one side glossy, the tape will not be subject to outside interference such as rain water and accidental tearing. 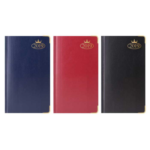 For the person who shops, sells and sends items abroad on a regular basis, this is a definite must-have. Multi use ideal for card making and scrap booking. Double-sided adhesive 3D foam dots. Acid free, safe for use on photographs. 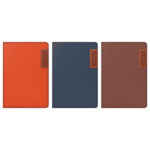 Multi use ideal for card making and scrap booking. Double-sided adhesive 3D foam squares. Acid free, safe for use on photographs. 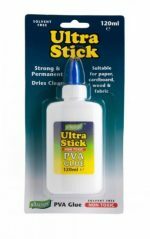 Ultratape Art & Craft Spray Adhesive is ideal for a whole variety of sticking tasks. 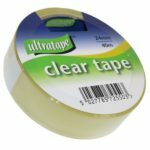 Ultratape quality clear adhesive tape, will prove to be an essential at home, in the workplace and at school. 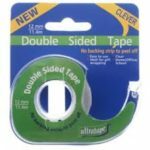 Ideal for a whole host of activities, from wrapping presents and making wall displays to card making and quick repairs, the tapes clarity makes it perfect for all kinds of uses. 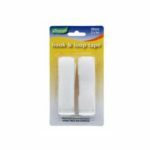 Package your parcels with Ultratape Clear Tape. 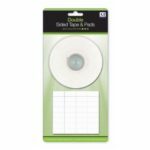 Tape down your papers, cardboard and parcel wrap with this highly-resilient tape that bonds strongly to your materials, protecting your gifts and items from the elements. The tape is 40 metres in length and has a glossy surface which is water-resistant, ensuring that your package is safely protected from the elements. For all your crafting needs, offering a quick, easy and no-mess option for sticking your projects together. 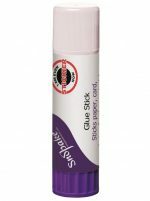 For super simple adhesion without the use of glue, this strong tape will permanently stick your materials together. Strong hook and loop fixing can be re-used time & time again without deterioration of power. 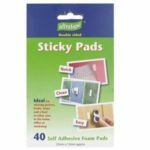 White pads 20mm x 20mm with a strong self adhesive backing. Each pad is approx 20mm x 20mm. 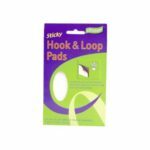 Strong hook and loop fixing can be re-used time & time again without deterioration of power. 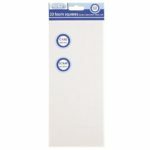 2 x 1m Strips with a strong self adhesive backing. 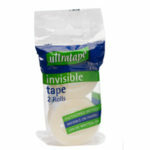 19mm x 33m wide Ultratape invisible tape is suitable for everyday office tasks & Home, such as mending tears without a trace. 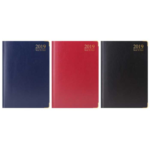 It can also be written or typed on meaning it can be used to cover mistakes and amendments, without showing up on photocopies or faxes. Mends tears without leaving a trace. Fits most standard tape dispensers. 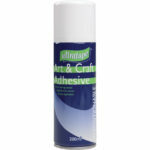 Suitable for wide range of crafts and art projects. 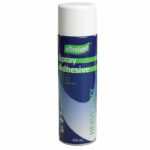 Ultratape Heavy Duty Spray Adhesive is ideal for a whole variety of sticking tasks. From laying carpet to sealing concrete floors, this heavy duty spray can do it all. It works on fabric, wood, metal, plastic and more making it a household essential.